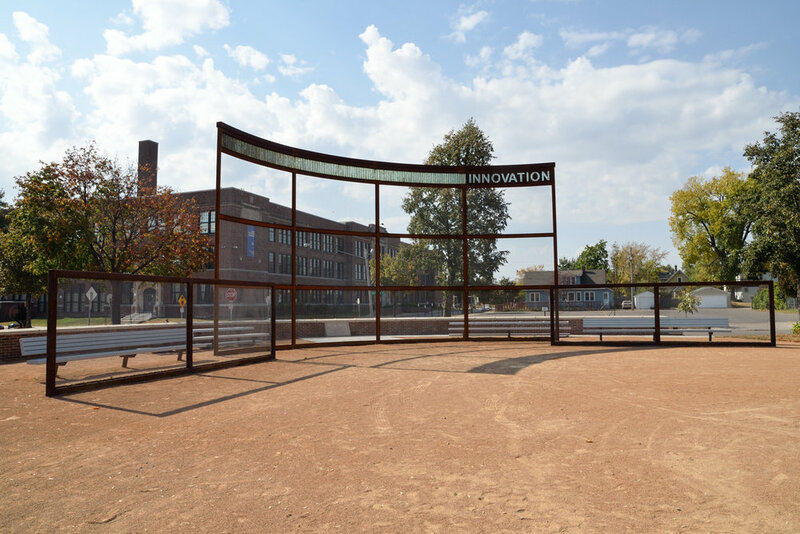 The Innovation Field backstop is one of a series of sculptures by James Brenner; all of which are linked together in materials and design to create a cohesive, attractive and unique sense of place in the Holland Neighborhood. 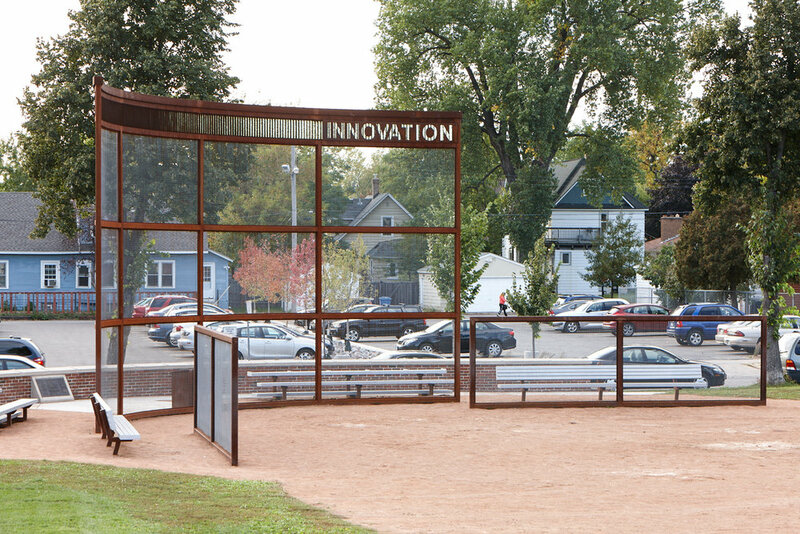 The theme of “innovation” refers to the influences of both Thomas Edison, the namesake of the nearby high school, and Louis Rober, credited with bringing the sport of softball to Minneapolis. 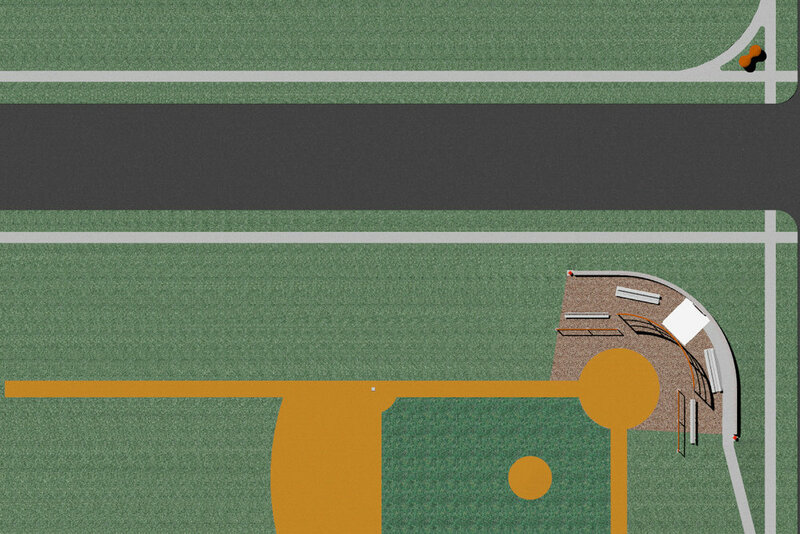 Like the other Brenner sculptural elements at Jackson Square Park and Edison High School, the top of the backstop has a similar play between the steel and glass: what is revealed and what is concealed as ones perspective changes. 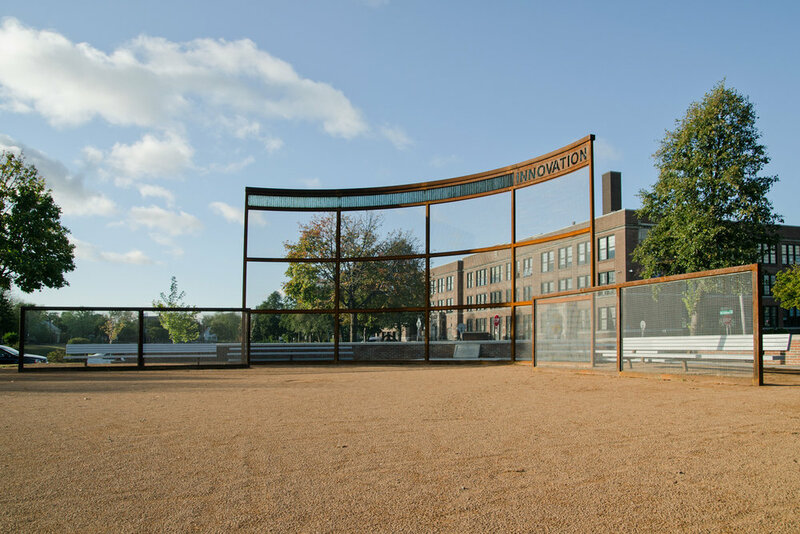 The last two letters of the INNOVATION text, “ON”, are illuminated with a solar powered LED blue light.